Blackstar is an American animated television series, a science fantasy story sometimes reported as being inspired by Thundarr the Barbarian. It was produced in 1981 by Lou Scheimer and Norm Prescott for Filmation. The series was Filmation’s second fantasy epic, the first being The Freedom Force, a segment of Tarzan and the Super 7. Blackstar has many notable similarities to He-Man and the Masters of the Universe, which was produced shortly afterwards. The A-Team is an American action-adventure television series that ran on NBC from 1983 to 1987 about members of a fictitious former United States Army Special Forces unit. 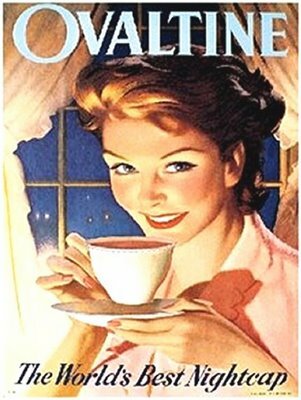 The members, after being court-martialed “for a crime they didn’t commit”, escaped from military prison and, while still on the run, worked as soldiers of fortune. The series was created by Stephen J. Cannell and Frank Lupo. A feature film based on the series was released by 20th Century Fox in June 2010. 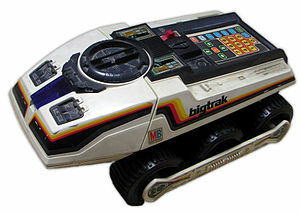 BIG TRAK / bigtrak is a programmable electric vehicle created by Milton Bradley in 1979, resembling a futuristic Sci-Fi tank / utility vehicle, possibly for use on the Moon or a Planetoid style environment. The original Big Trak was a six-wheeled (two-wheel drive) tank with a front-mounted blue “photon beam” headlamp, and a keypad on top. The toy could remember up to 16 commands, which it then executed in sequence. There also was an optional cargo trailer accessory, with the U.K. version being white to match its colour scheme; once hooked to the Bigtrak, this trailer could be programmed to dump its payload. In 2010, BIG TRAK was relaunched in the form of a slightly modified replica (cosmetically very similar to the original U.K. bigtrak), produced under licence by Zeon Ltd. There is also a small dedicated Internet community who have reverse engineered the BIG TRAK and the Texas Instruments TMS1000 microcontroller inside it.